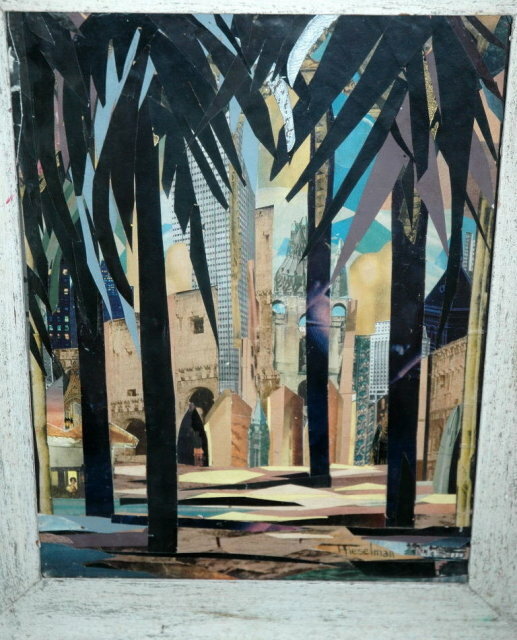 Very interesting original collage art picture signed by Hieselman. 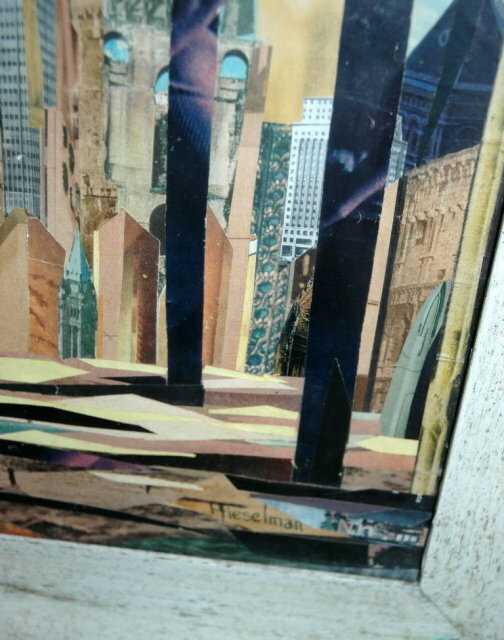 It is created with torn and clipped magazine pages and papers. I am not sure what else is used but it all comes together to create a mixed theme of modern city vs. ancient architectural buildings. In the foreground are treas that I assume are date palms. The scene is captivating with depth that draws you in further to see what is going on. I have had it for many years. It is sealed in back and I have never had it out of the frame. 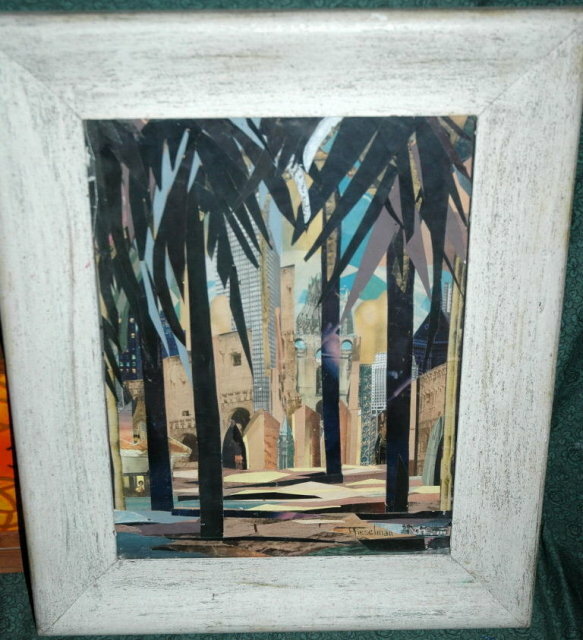 The frame is 22" x 17 1/2". The condition is very good. The art is excellent. The frame has a few dings. Please check out the rest of my Fabulously wonderful & wide variety of estate treasures . 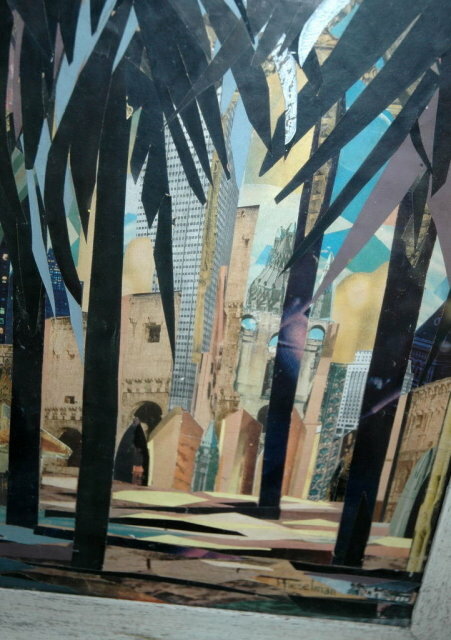 Items Similar To "Collage Mixed Theme Art Picture Hieselman"